Have you thanked a teacher recently? I mean, really thanked an educator? I spent just a couple hours shadowing a 4th grade teacher and believe me, they deserve more than just an apple a day! 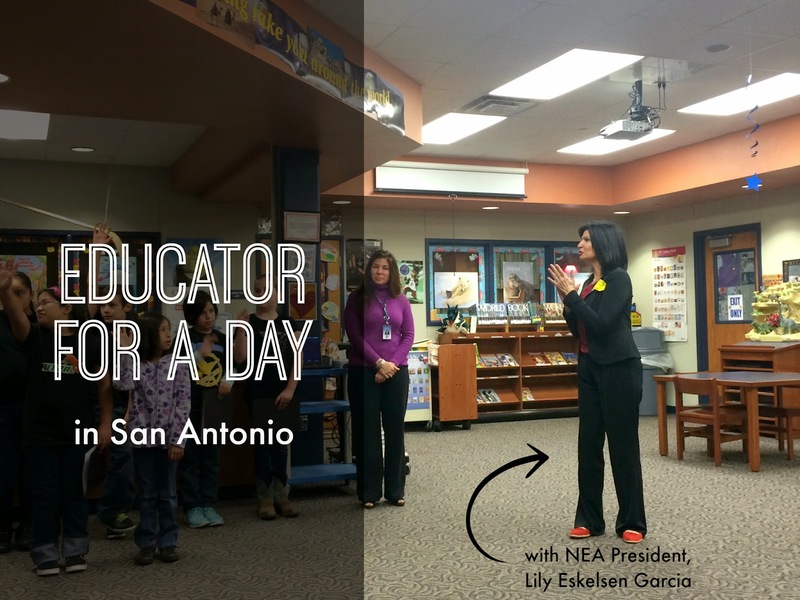 Last week was American Educators Week, and I was invited to tag along with the NEA Educator For A Day crew that stopped by Southwest Elementary, of course, in Southwest San Antonio. 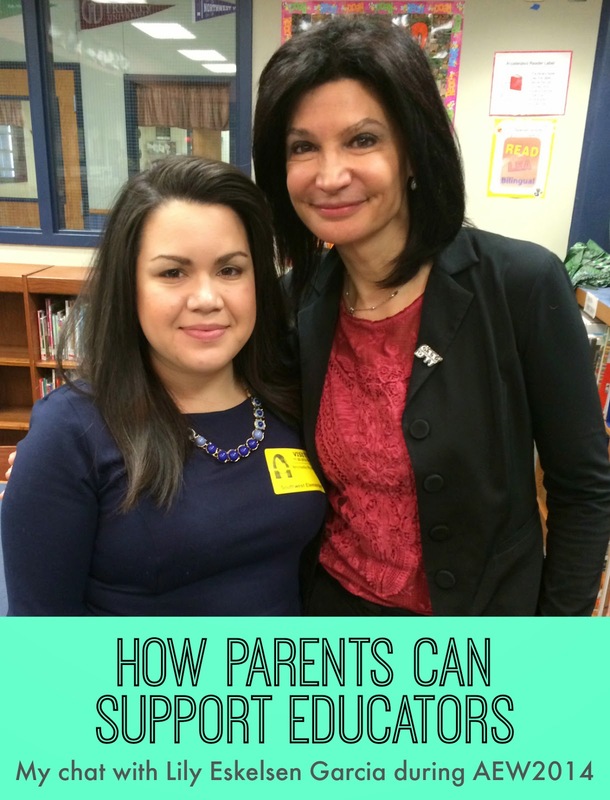 The President of the National Education Association and 1st Latina to hold the position, Lily Eskelsen Garcia was in attendance with the Texas State Teachers Association President, Noel Candelaria; NEA members, SWISD board members and others to experience a day in the lives of an educator. After the morning introductions, I sat in on the 4th grade classroom of Ms. Rodriguez, while she taught Reading Language Arts to her bilingual students. We talked a bit before as we walked with her to get her kids from gym, but as soon as the kids were settled in the classroom, she had her sip of Coke and her energy level jumped. It was game time. And to be quite honest, it was a little hard to keep up at first. You see, I work in a quiet office all day. It's pretty much at my own pace and controlled. But in the classroom, she and the kids hit the ground running. The hour and a half flew by as she talked about how to right an expository essay, while the students were taking notes, in colored markers of course. I admired the respect she had for the children. There was no talking down or teaching for the sole reason to pass a test. She was preparing these kids with proper writing skills, and I was very impressed with their conversation. Mostly in English, but a few times there were some explanations in Spanish, it was beautiful. Because every child has the right to be educated and have someone take the time to explain a concept to them, even if in another language. 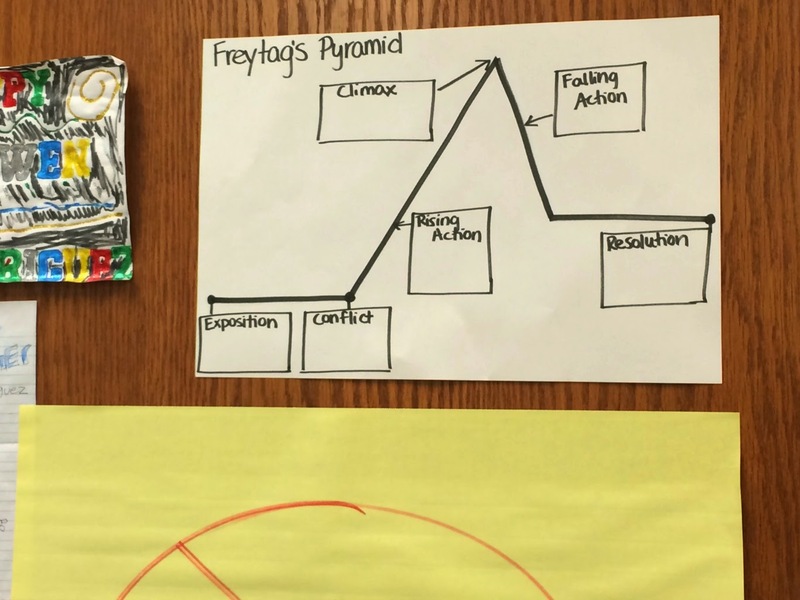 The students brought up concepts such as Freytag's Pyramid and amalgams, and also gave examples of bifurcation, something I knew nothing about! AEW's theme is Great Public Schools: A Basic Right and Our Responsibility. 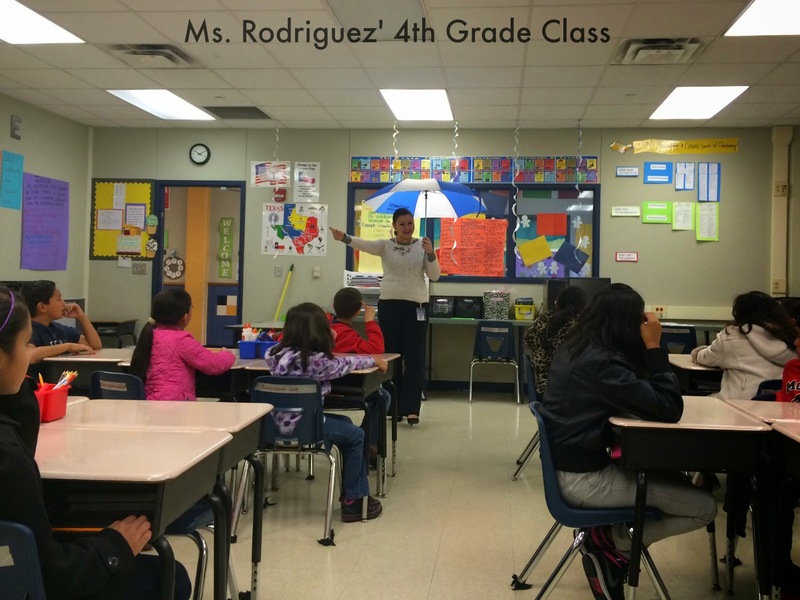 And Ms. Rodriguez was the perfect example of what a teacher can be. Engaged, Respectful, Fun, Caring. But they can't do it alone, it is our responsibility as parents to help in that journey. I spoke with Lily Eskelsin Garcia, who happens to have her own blog on the NEA website, Lily's Blackboard, and asked her about ways that families can support their children's educators. She used to be an elementary school teacher in Salt Lake City, Utah. Parents can support educators even when they don't have the time to volunteer in the classroom. READ - Read to your children or have your children read to you. When you show that reading is so important, that you schedule time in your day for it, it supports the teacher's daily initiatives. ASK - Ask your kids about their day, but be specific. What was their rotation or elective class? What did they learn in science? How was the school lunch? Hopefully these specific questions will get them talking more than just an "ok". A little trick Lily used with her own children was when they said "nothing", she jokingly said, "I am going to give your teacher a call tonight, because she did not teach you one thing today!". That is usually followed by an "No, no, no. This is what I did..."
NOTICE - Make it a point to notice when your children are doing great things in school. Send the teacher a quick note saying you can see the progression and thank them for their work. Lily talked about her time as a teacher and how she pre-addressed 2 note cards for each child, so she could send a quick personalized note in the mail to tell them something that she noticed them doing great. I thought it would be a nice idea to do the same, but for my children's teacher, so she knows how much we really appreciate her dedication to our kids. I know we see all of these great handmade gifts on Pinterest, but it really doesn't take much to genuinely show an educator that you appreciate their work, time and dedication to education. And it doesn't have to happen only during American Education Week. Want more? Check out the NEA Parents page, and follow them on Twitter, Facebook and Instagram, they are cool like that!